The Zenport Q64 Heavy Duty Professional Pruner, SK5 Japanese Steel Cutting Blade, .75-Inch Cut, 7-Inch Long are pruning shears designed for intensive commercial use, and are ideal for landscapers, arborists, and arboriculturists. Ergonomically shaped, hardened steel handles for superior strength while still remaining light and well balanced in the hand. Features 7-Inch overall length, strong steel handles and High carbon SK-5 Japanese Steel blade. 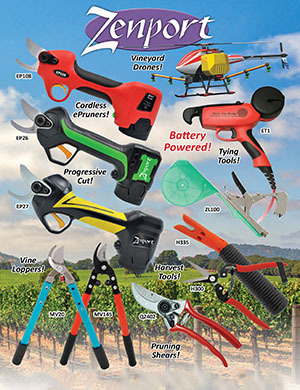 The reduced size of this professional pruner fits smaller hands and a smaller budget!